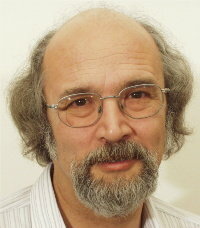 He is a german, was born in Berlin in 1953 (2496). Went to school in Germany, graduated as a physicist majoring in thermodynamics and lasers. From his working expirience he has gained a lot of international contacts. He runs his own business. His working areas are IT and office automation. 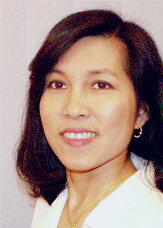 She is a thai, was born in Bangkok in 1957 (2500). Went to school in England and Thailand, graduated in Thailand and received her Ph.D. in Germany, majoring in toxicology. For many years she worked as a scholar for chemical industries and as a mediator between thai government and foreign companies. But if you dig a little bit deeper, you will find that not all is strange. Many things are alike, they just only look quite different at the first glance. Unfortunately, many things look alike, but actually they are not..
We tried for years to understand the people and the business in these two cultures. We made a lot of mistakes and gained experiences...and we have friends for assistance. The purpose of this page is to give you a little assistance in understanding and perhaps to help you solve some problems. You are now in the "Non Frameset" area of our pages. Unfortunately your browser isn't able to display frame. So please use the following navigation bars.